It was a perfect storm of long-simmering societal issues. Bullying against LGBT people, increasingly pervasive surveillance and waning privacy, and new technologies all came into play in the case against Dharun Ravi, but over the past 20 months, the public learned that things weren’t as cut-and-dry as they originally appeared. On May 21, a New Jersey Superior Court judge sentenced Ravi to 30 days in prison, 300 hours of community service and three years probation, bringing one of the more complex and controversial court cases in recent years to a tentative close. Even though the sentence is far more lenient than many expected — the maximum punishment was 10 years in jail — Ravi could still face deportation to his native India, and both sides are expected to appeal the decision, reported the Star-Ledger. NJ Today’s David Cruz (@CruzNJTV) reports from Ravi’s emotional sentencing on May 21 in New Brunswick, N.J. Video courtesy of NJ Today. 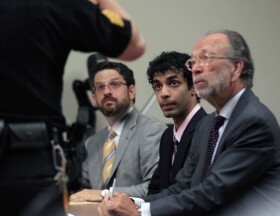 In March, the former Rutgers University freshman was convicted on 15 counts of spying, witness tampering and bias intimidation for using a webcam to spy on his roommate, Tyler Clementi, having an intimate encounter with another man on two different occasions in Sept. 2010. A day after the second encounter, Ravi apologized to Clementi via text message. Whether the text would have changed the events of that day, or if it simply came too late, is unknowable. What is known is that within a few hours of Ravi sending the message, Clementi leapt to his death from the George Washington Bridge. During his sentencing on Monday, Judge Glenn Berman said he didn’t think the spying was motivated by hatred toward Clementi’s sexuality, but that Ravi was guilty of “colossal insensitivity.” Berman noted that he hadn’t once heard Ravi apologize to Clementi’s family. A Year After Clementi’s Suicide, is it Getting Better? 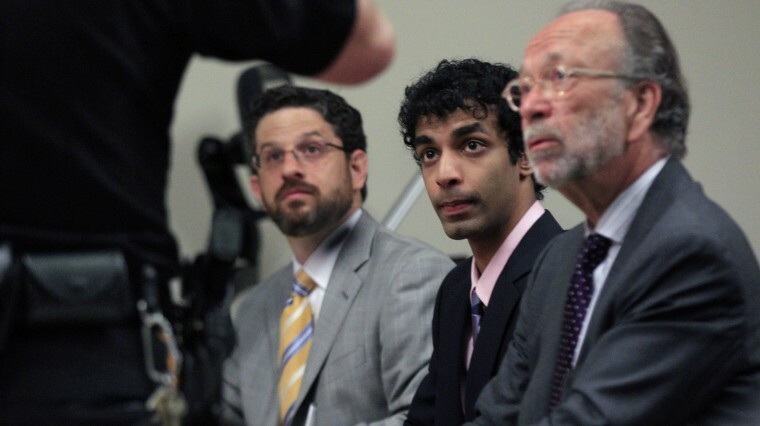 When the Clementi’s death first came to national attention, just on the heels of columnist Dan Savage’s “It Gets Better” campaign against bullying, many champions of gay rights demanded hate crime charges against Ravi, which eventually came in April 2011. But as time went on, many of those gay rights advocates, including Savage, came to see 10 years as too harsh a sentence as it became clear there was more to the story. As Ian Parker wrote in the New Yorker, early media reports seem to have exaggerated what Ravi — who spied on Clementi with roommate Molly Wei — actually did. An alleged livestream of Clementi and his partner’s encounter apparently never happened. Ravi had originally texted friends that such a broadcast would occur prior to Clementi’s second encounter, then changed his mind and turned off his computer. It was Wei who opened the computer and briefly viewed the video. Whereas many initially assumed Ravi to be a hateful bully, like many who have apparently driven young gay people to suicide in recent years, Parker’s reporting painted a more nuanced portrait of Ravi as a rather insensitive, perhaps bigoted, but in many ways typical college freshman. Another issue that came into play was New Jersey’s ambiguously worded bias discrimination legislation itself. The judge who handed down Ravi’s verdict called the laws “muddled,” and the author of those laws, State Senator Joseph Vitale, said he needed to update them to suit new technologies that had been developed since they were passed. That didn’t change much for Clementi’s family. During the sentencing on Monday, Clementi’s mother called Ravi’s actions “malicious and evil,” and demanded justice for her son.